1 FREE GARLIC SHRIMP PLATE! 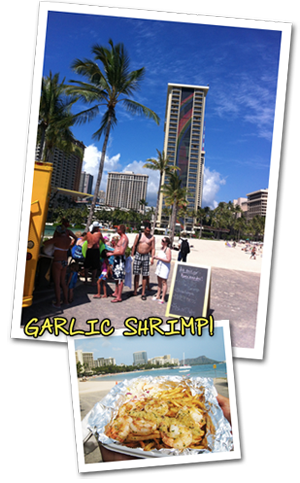 Get a taste of Hawaii's popular Garlic Shrimp with Waikiki.com! 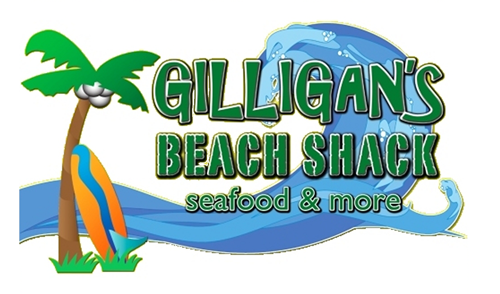 Purchase tours and activities over $100 and we will treat you to 1 Free Garlic Shrimp Plate at Gilligan's Beach Shack! 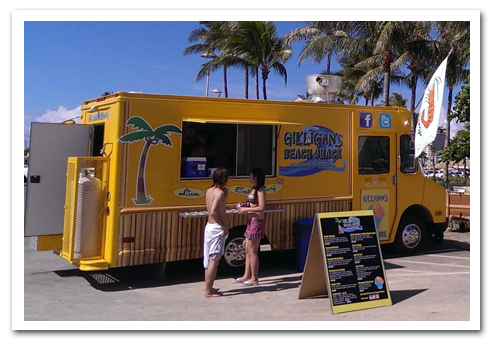 Welcome to the brightest new food truck in Waikiki with the Best Views -- Gilligan's Beach Shack! Serving up yummy beach food favorites. Wiped out after a day of hanging ten or sunning on Waikiki Beach? Get onolicious (yummy) grinds at Gilligan's Beach Shack located in front of Duke Kahanamoku Beach. 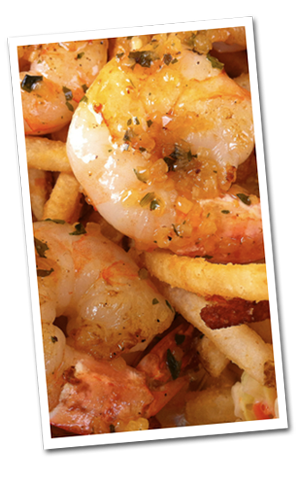 Try our popular Jumbo Garlic Shrimp, Grilled Mahi Tacos, Fish & Chips, and more. Book over $100 of tours/activities with Waikiki.com and receive a voucher for 1 FREE Garlic Shrimp Plate at Gilligan's Beach Shack Food Truck, located at Duke Kahanamoku Beach in front of the Hilton Lagoon. 1 Free Garlic Shrimp Plate with purchase of over $100 of tours and activities. The voucher expires on the date printed on voucher. *Prices, features and/or menu are subject to change without notice. DOLPHIN SNORKEL & SAIL -- Snorkel, Sightsee and SNUBA the West Coast of Oahu -- Unlimited Buffet -- All on one Boat! $139 -- Book Now! DIAMOND HEAD WAIKIKI PARASAIL -- Get the ultimate thrill ride as you sail 500 ft above the Pacific Ocean for perfect views of Diamond Head, Waikiki and Downtown Honolulu! $50 -- Book Now! VOLCANO LAVA WALK TOUR -- Explore more of Hawaii, beyond Waikiki. The Volcano Tour and Lava Walk is a true adventure. Vistas of dormant volcanoes, lava beds, steam vents and craters! $360 -- Book Now! POLYNESIAN CULTURAL CENTER -- Enjoy all of the Polynesian Cultural Center PLUS the finest authentic Hawaiian luau in the islands! $122.12 -- Book Now! LEARN TO SURF -- A Team of lifeguard and CPR trained instructors will give you an enriched Hawaiian Waikiki Surfing experience. $60 -- Book Now! PEARL HARBOR -- A "must-do" activity for anyone visiting Oahu, a visit to the Arizona Memorial in Pearl Harbor is one not to be forgotten. $37 -- Book Now! SPORT FISHING OAHU - WE CATCH FISH! -- Our experience, expertise and knowledge of Oahu's west coast fishing grounds provides our anglers with the best chance of having an enjoyable and productive sportfishing charter. We Catch Fish! $165 -- Book Now!